The stripped-down process and organization keep the startup moving. Marcus Wilson and Michael Schaeffer had big careers in the athletic shoe business: Schaeffer was Reebok’s global creative director, and Wilson was its head of brand strategy. 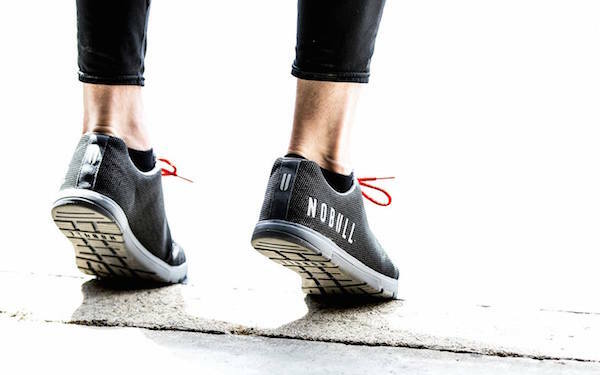 But two years ago, they jumped to the opposite end of the market: They became the little guys, launching a shoe startup called NoBull that caters to CrossFitters. They now sponsor four CrossFit celebrities and have 11 shoe styles for sale, and have learned a lot about the benefits of being small. Here is something else NoBull does differently: It can turn a new shoe around in four months, nearly five times faster than big brands do. “We make our decisions based on our gut and knowledge of the market, versus market research,” he said—and they will review an entire product line in a day or two, as opposed to several weeks. This helps NoBull react to (and influence) trends, and sell new products without a money-losing lag time. Compared with NoBull, the founders’ old gigs were cushy: “We took for granted the resources at our disposal, when it comes to materials sourcing to logistics to supply chain,” Wilson said. Now they are getting to know this stuff—and find that they are more creative as a result. When they visit manufacturers in China, say, they leave with a holistic understanding of how a design decision in their office impacts costs half a world away.